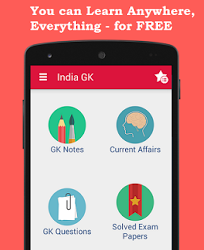 3, 4 May 2017 Current Affairs MCQs, Quiz, Questions: Current Affairs for May 2017, Daily Multiple Choice Questions (MCQs) for India GK, World GK and current affairs with Collection of daily objective type Question by www.Indiagk.net based on General Knowledge (GK) and General Science (GS) Questions for UPSC, State PSC, SSC, Police exam, Railway exam, SBI, Bank PO, IBPC, SSC, LDC, UDC, Army, Airforce, Navy, Coast Guard, Bank Clerk, TET and all entrance examination with current affairs News, Multiple Choice Questions (MCQs) available on Website www.IndiaGK.net and Android Apps with daily updates:. Who is first Prime Minister to visit Kedarnath? Who has been appointed as the first woman President of Confederation of Indian Industry (CII)? What is the name of the nationwide mission launched by Govt on 2 May 2017 that seeks to promote nationalism among youth? Which state became the first to adopt 1st January to 31st December Fiscal Year?